Christmas is a great time to get together with the family to spread some festive joy and cheer. Unfortunately for some Christmas is a miserable time because they have no money or are on a low income and cannot afford to spend the extra money to make Christmas special. If you’re contemplating a Christmas without cheer you need to think again. You have the ability to make Christmas great with or without money (It does help if you have money). Note: This post will be updated everyday running up to Christmas with more hardship programs, more ways to make money and more ways to get financial assistance so check back everyday for more resources! In this post we will be looking at all the Christmas assistance programs that are available as well as some ideas and strategies that you can use in you need money for Christmas. All the Christmas assistance programs mentioned here are completely legal and legitimate. The ideas and strategies to make money for Christmas will also help you to generate extra money. How much you raise depends on how much time you can put in before Christmas to make the money. If I needed money for Christmas I would start contacting charities and foundations for help right now. The problem most people make is that they leave it too late to contact organisations like the Salvation Army, YMCA, Toys for Tots, and Make a Wish Foundation. These organizations which help with all aspects of Christmas are there to help low income families, as well as the elderly and homebound. If you’re experiencing hardship you definitely need to contact ALL these organizations for help. The Salvation Army is dedicated to helping low income families, homeless, elderly, disables and the homebound during the Christmas holidays. The Salvation Army offers hot dinners during Christmas day as well as toys, groceries and food baskets to help low income families. 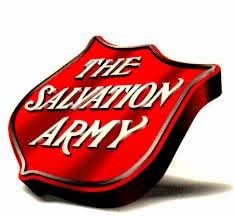 Do a search on the internet for the Salvation Army in the state which you reside in and you should find a handful of organisations in your region. You need to contact these organizations and inquire about the programs they offer for Christmas. The YMCA also known as the Young Men’s Christian Association helps Christian Families all over the world during Christmas. The organization was first started in London in 1844 and has now spread all over the world. The YMCA offers hot dinners on Christmas day as well as toys, food baskets and gifts for low income families. To find your nearest YMCA do a search for YMCA with your state. Take Action now and call the organization to find out what kind of financial assistance is available during Christmas. Toys for Tots offer Christmas Toys for low income children during Christmas. This organization helps families to make their Christmas magical by offering donated toys which are new and old to families who would have been without toys. The organization was first founded in 1947 in Los Angeles California and is now run by the United States Marine Corps. The Marine Corps underlying mission is to provide toys for underprivileged children and has raised over 250 million dollars. If you’re experiencing hardship and need Christmas assistance take action now and head on over to toysfortots.org to find your local office. If you can't afford a Christmas tree the Christmas Spirit Foundation offers farm grown Christmas trees to military families and sometimes low income families who are experiencing hardship. Since the inception of the charity more than 130,000 trees have been grown and given to low income families. The Christmas Spirit Foundation is also partnered by FEDEX and they have delivered these trees to troops all over the world. To reach out contact the Christmas SPIRIT Foundation today. Take Action today and contact this charity as trees are limited and demand is overwhelming during Christmas. This is one of my favourite Foundations and helps fulfil the wish of Children who are experiencing life-threatening conditions. During Christmas Make a Wish Foundation ramps up its effort to help Children with terminal conditions to have a magical Christmas. The organization was first started in 1980 and is a 501(c)(3) Non-Profit Organization headquartered in Phoenix Arizona. If you have a child who has a life threatening condition contact worldwish.org today to see how you can get help to make your children’s Christmas magical. 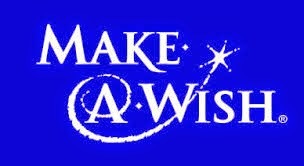 Also check out this great video of how the Make a Wish Foundation is making a difference to kids lives during Christmas. 6: Find Some Money Resources: Here is a great thread from Find Some Money which shows all the Christmas Assistance Programs in different states and regions - Christmas Assistance Programs in USA. This thread is being updated daily by forum contributors and you can find contact details off all the different Christmas Assistance Programs in particular state. Certainly worth bookmarking. 7: Need Help Paying Bills: If you need help paying bills check out the following site which has resources to help low income families with food, energy, clothes, rent, mortgages and much more. The resources are separated by state so its much easier to find a program which is suitable for you. You can contact Christmas Assistance Programs and you will get help however you do have the option to make the money yourself. 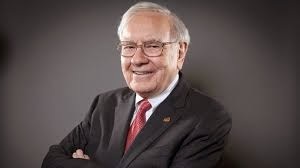 Making money is not as hard as it seems and you will get better as time goes on. If you’re struggling to make ends meet with your current level of income find ways to supplement your income. All of the strategies and ideas mentioned here are legal and legitimate and you will be able to make money if you commit to these ideas. Personally I have made thousands of dollars just by using 10 of the strategies mentioned below. 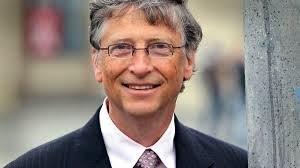 1:: Ask millionaires for money: This really does work and all you have to do is reach out to a handful of millionaires, billionaires or philanthropists and ask them for money. You can also reach out to wealthy businessmen and wealthy companies in your region and ask them for help. Try to create a video explaining your hardship and then post these videos on YouTube, Vimeo and crowdfunding sites such as Fund Anything. If you do have a genuine hardship people will help you. 2:: Find Items of Freecyle.com: Freecycle.com is a great place to find everyday items that are needed in the home. I know families who have furnished their homes just by using sites like Freecycle.com. Using sites like these will help your save money so you can spend it on more important things such as making Christmas more magical for your family. Take action today and visit your local freecycle forum and check to see if there’s anything you need. The money that you save could then go towards your Christmas fund. You could also find used gifts and toys on Freecycle so your kids will never go empty handed during Christmas. 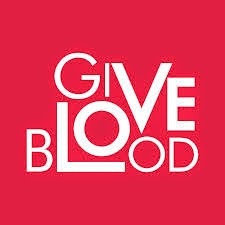 3:: Give Blood: Giving Blood is a great way to generate some extra cash. Find a blood bank in your area which pays money for plasma and try to donate a couple of times per week before Christmas. If you have a partner willing to do the same you could generate an extra $500 before Christmas which could go towards gifts and food. Take action today and do some research to find paid blood and plasma clinics. Not only will you be helping people as demand for blood increases during Christmas you will also be making Christmas more cheerful for your family. 4:: Rent a Room: If you’ve got a spare room you might want to consider taking in a lodger during Christmas. 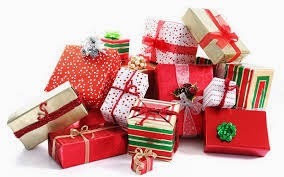 You can ask for money upfront which you could use towards Christmas dinner, toys and gifts. The demand for rooms and rental accommodation rises during Christmas which is why you have a good chance to find a lodger who will pay in advance. 5:: Fill Out Surveys: Filling out surveys is a great way to generate some extra cash. You can get anything from 10 cents to $10 depending on what type of survey you complete. Beware not to join survey sites which promise high payouts in exchange for membership as these are usually sites that are just out there to deceive people. Sites such as Survey Spot, Survey Savvy, My Survey and Opinion site have been tried and tested and have a reputation for paying their customers. Take action today and join these sites and fill out surveys in time to make the Christmas payout. 6:: Offer Your Services: If you have a skill you could monetize this on sites such as Fiverr, eLance and oDesk. You can post your services online and wait for customers to reach out to you. 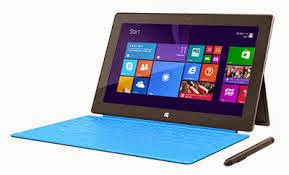 If you can write, book keep or develop sites you could make a lot of money as these jobs have high levels of demand. 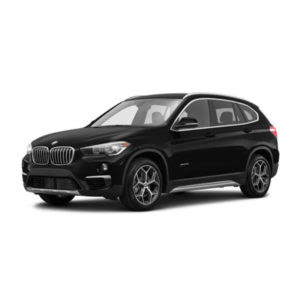 There are people making a good six figure living using sites like these. Take Action and decide on the skill you want to monetize and post your service online today and wait for potential customers to reach out. If you can get a high paying job and complete before Christmas you can sit back and enjoy the holidays. 7:: Create Arts & Crafts: Arts and Crafts are in great demand during the Christmas holidays. If you’re talented at creating you could easily monetize this skill using sites such as Etsy and eBay. Demand for handmade decorations and gifts surge during the holidays and you could end up making a lot of money. Take Action today and visit sites such as Etsy and do some research to see what sells well. Make an improvement on the best seller and watch the profits come in time for Christmas. 8:: Recycle Cell Phones: The old cell phone market is worth billions and you could make a lot of money just by recycling old phones. One strategy which works is to create flyers asking for old phones in your local community. If you can reach out to your local community via newspaper, radio or even through a prominent blog you could easily generate 500 cell phones. If you can get an average of $10 per phone you could easily make $5000 to make your Christmas magical. 9:: Sell You Clutter: Everyone has clutter and you can easily generate $200 from just selling your junk on sites like eBay and Amazon. Find all unused books, clothes, CD’s, laptops, cell phones and bits & bobs and post them on eBay during free insertion dates. If you can write an effective description and include plenty of photos you can make a lot on money. You could easily extend this to a full time job which pays a five to six figure income every year. 10: Offer Manual Service: If you need money desperately for Christmas you should consider offering all manual services. Create a flyer and go door to door offering cleaning, repairing, painting and shopping services. Reach out to your community and ask for help and you will get lots of leads. If you do a great job your services will be recommended and you’ll begin to make a lot of money just in time for Christmas. 11: Take Part in Clinical Trials: This is a great way to generate some serious quick cash. There are many approved clinical trials offered through an official government site. If you take part in these clinical trials you could get anything between $100 and $10,000 depending how involved the trial is. You can register and then search for clinical trials in your state and take part. Once you've concluded your clinical trial you receive your compensation money. Suppose you take part in 4 clinical trials per year all paying $5000 per session you could easily make £20,000 per year which is a great way to supplement your income. 12: Take Part in Focus Groups: Marketing is seriously big business and large corporations are willing to pay for your opinion. When launching a particular product companies love to get the opinion of consumers before they launch their product, this means that if the product is a flop they have only spend money on product development and the focus group which is inexpensive compared to launching a real product. There are some great focus groups such as Online Verdict and 20 20 Research which pay for your opinion. Search for focus groups and then take part and you could easily earn $2000 per year if you continually take part in these marketing processes. Just imagine how handy $2000 would be during Christmas or any other time of the year. 13: Rent Out Storage Space: Space comes at a premium everywhere and people need a place to store their clutter. As a result the demand for storage space in USA and UK is on the rise and specialist sites are cropping up to connect people who need space with people who have space. If you've got some extra space in your home that's safe and secure think about renting it out. If you can charge 50 to 100 dollars per month you can make 1200 to 2400 dollars per year which could go towards your Christmas shopping. 14: House Sitting: With the holiday season fast approaching wealthy families are looking for a quick getaway to an exotic sun drenched location. These people hate to leave their home empty and pay people to live in their home. If you're prepared to house sit for someone you could make a lot of money and live in a wealthy home for free. House-sitters can get anything from $500 to $2000 dollars per month depending on the location, size and contents of the home. To get started find all the House Sitting sites in your state and register your services with them and just wait until a suitable home is found. If you can house sit 6 months of the year and earn 1000 dollars you could end up with $6000 per year and you don't even have to pay rent for that period! 15: Get a Holiday Job: During the holiday period and especially during Christmas large and small businesses employ more temporary people to cope with high seasonal demand. Companies such as McDonald's, Amazon, Starbucks and Pret a Manger offer jobs with temporary contracts. You can apply for these jobs and the chances of getting a place is high as demand is high and the contractual term is short. Take action now and check to see if local businesses are hiring people and get a job during the holidays to pay for the holidays. I know many individuals who get a second job during Christmas and use all the money to pay for Christmas without getting into debt in the new year! Take Action Now. 16: Pet Sitting & Walking: Everybody loves pets and during the Christmas period pet owners may need pet sitters and dog walkers while they are away on holidays. If you love pets and you want to earn some extra money during the holiday period you could always offer a pet care service which includes looking after, feeding and walking pets while the owners are away. If you can deliver a professional service you could charge anything between $100 and $500 per pet. Take action today and place an advertisement online and on your community noticeboard to see what kind of a response you get. Just imagine how helpful it would be to earn a few hundred dollars extra during Christmas! 17: Share Christmas Costs: If you know other families who are experiencing hardship during Christmas you can pool all your resources together to have a great Christmas. You can pool all your money together and then find great bargains for groceries to cut the cost of Christmas Dinner. You can just get one set of Angel Tree and decorations and you could also exchange old gifts repackaged between children. This is a great way to enjoy each others company while reducing the cost of Christmas. Take action now and find other families and network together to reduce the cost of the holiday period. Special Note: Check out the following special posts on how to make money quickly. Again all these posts contain legal and genuine ideas to make money quickly. Read through the posts and choose an idea and then put all your efforts into earning more money. At first you might struggle however over time you will become an expert at making money. So before you consider taking out a bad credit credit card or instant pay day loan ask yourself if you can make the money yourself. Earning more money on the side is definitely possible if you put the time and creative effort to achieve your goals. Another option you have when you’re experiencing hardship is to apply for welfare benefits. If you’ve paid your taxes and lived within the law you will be eligible for public assistance. Take Action now and visit the US Government’s official website and find programs which help low income individuals and families. Some of the programs you should be able to apply for if you’re on a low income include the following. 1: Unemployment Benefits: If you’ve lost your job through no fault of your own you will be eligible for unemployment benefits. Depending on the state you live in you could get anything between $300 and $450 every week which could help towards Christmas. 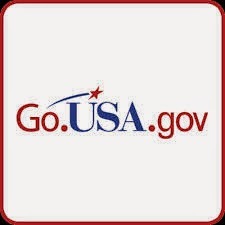 Take action today and visit the USA.Gov website and then apply online. 2: Food Stamps: The Supplemental Nutrition Assistance Program offers food stamps to help low income families. If you’re income falls below the Federal Poverty Line you can apply for food stamps which can be redeemed in most grocery stores. Again visit the USA.Gov site to see if you’re eligible. 3: Rental Assistance: If you’re experiencing difficulties paying your rent during Christmas you can apply for rental assistance through the Department of Urban Development and Housing (HUD). You can either apply for subsidized housing, a voucher or public housing which could help towards rental payments during Christmas. Again take action now and visit the USA Government site to see if you are eligible. 4: Energy Assistance: If you're struggling to keep up with your utility bills then LIHEAP (Low Income Home Energy Assistance Program) can help you to keep cool during summer and warm during winter. If you're on a low income and are near the Federal Poverty Line you should take action and apply for this program. Heating the home during Winter costs a lot of money and if you're subsidized you could use the money towards making Christmas special. Take action today and head on over to the USA Government website and find the LIHEAP program for your state. You do not have to spend Christmas is hardship and everyone is willing to help if you’re experiencing hardship. Take action today and check out all the Christmas Assistance Program and apply for them early to avoid disappointment. Most low income families use bad credit credit cards and instant payday loans to fund Christmas only to get in financial trouble in the New Year. Before you consider taking on debt contact all the financial hardship programs listed above and try some of the ideas to make more money. Good Luck. Great content. This will definitely help low income families during Christmas. I only hope that these people seek assistance in time otherwise they wont have the Christmas they wished for. Excellent post. I appreciate the comment and I also hope people get help in time. Have you thought about offering a Free Ebook with all the valuable resources, this would be great for people who want all the information organised in an efficient way. Its a good idea and thanks for checking my site out. I have thought about offering a free eBook so watch this space. Very resourceful post. I would start by looking for government assistance and then find programs to help with Christmas. Your ideas and strategies for making money are good and if people really put their mind to it they could really supplement their income. Thanks Robert, Nice to get a comment from a Forbes Contributor! I have just linked this post to one of my sites, hopefully you should receive a fair some visitors who will definitely find the post useful. Great site and keep on helping people. Thanks for the visitors Shawn, its a pleasure to be able to help people. Really enjoyed the post. I particularly liked the money making ideas. Its true that you can make money if you put the in the effort. The reason why most people fail is because they give up too easily. Great post, keep them coming. Thanks Lewis - I agree, you can make money if you really put your mind to it. Thanks for the comment, much appreciated. Nice post. I have been in hardship in the past and its posts like these that really helped me to get back on my feet. It definitely is possible to make money if you think creatively and I have done it myself. For everyone reading this post and comment it is possible to dig yourself out of any hole. Thanks Alistair for the kind comments. I also agree with you, there is always a way no matter how bad circumstances become. God does not burden us with more than we can cope with. Thank You. Thanks Harvey, appreciate your comments. I agree the video is very heart warming and hopefully more children can benefit from this great charity. Really enjoyed reading the post. I like your money making ideas especially focus groups. I have taken part in the marketing process and it is very rewarding because these companies compensate handsomely for your opinion. This is a very resourceful post Shobir, thanks for sharing. Thanks for the kind comments Andrew, Yes focus groups can be very useful especially when money is tight. I'm glad the resources are helpful. Free free to add more resources and I will be more than happy to update the post. Thanks. Thanks Howie, I appreciate your comments. Most people organize a job well before the Christmas period so if there are any people who have failed to get a job they can prepare themselves for Christmas 2015. Thanks for the comments.